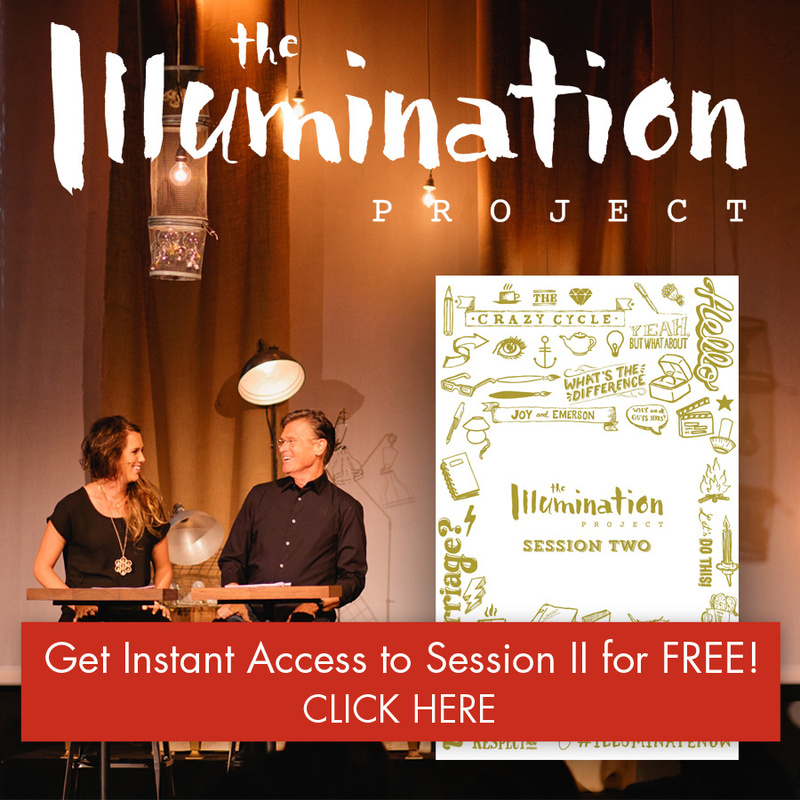 Want some first-hand stories of people who have gone through The Illumination Project? I had so much fun reading the answers to the questions I asked Crista and Sydney. Who are Crista and Sydney, you ask? First they were amazing interns for Love and Respect Now, and then my parents and I decided to keep them. I am so grateful for the energy and efficiency these two women bring to Love and Respect, but beyond all that they believe in the work whole-heartedly. Here’s hoping the below answers are true. I can confirm Crista’s answer to #3 is. My hair ain’t going anywhere, folks. (Meet Crista and Sydney (L-R). 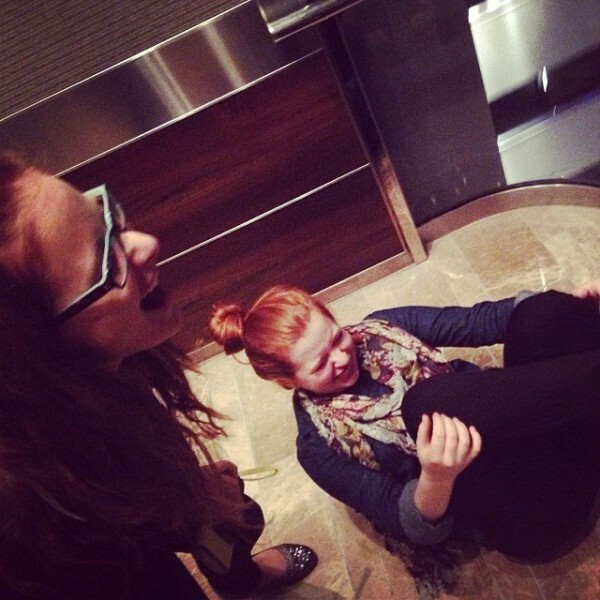 This photo was taken as we were on our way down in a fast elevator. I told them to “jump!” to catch air…buuuuut, someone on the next floor decided to get on the elevator and we were stopped abruptly. 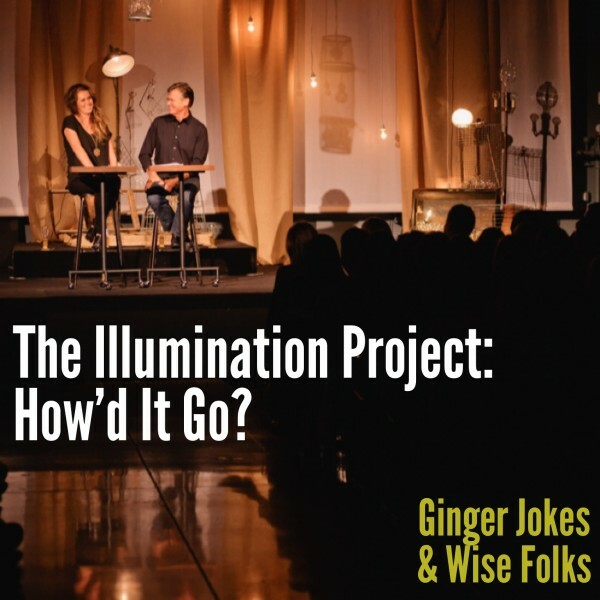 The Illumination Project: How’d It Go? What was the demographic of your group? Crista: We had a couple that has been married for over 30 years, a few divorced, a couple widowed, and a handful of single 20- and 30-somethings. Male and female. It was the perfect hodge-podge of people for the project. Sydney: We had a younger, mixed group of people who didn’t know each other ahead of time. Most of us were single recent college graduates, plus a dating couple and an older, married couple. 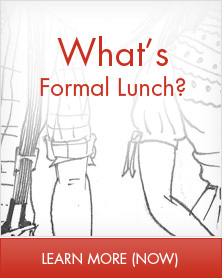 Did you eat together beforehand? Crista: Yes! We’ll make any excuse for food (and not starting on time). Every week was different, from BBQ to potluck to a baked potato bar. (Did you know avocado as a topping is a thing?!) Most people were coming straight from work, so having time to relax and sit around a table or stand around in the kitchen was something we all needed. Sydney: YES! Since much of the group didn’t know each other, eating a relaxed meal together helped us get to know each other and made for a more open environment. We didn’t have avocado, but we did have steak bites. What were the awkward moments? Crista: When everyone realized in Session 2 that Joy’s hair really was supposed to look like that. We’ve been a community group for a while, so our “awkward moments” were probably not like what you might experience with a newly formed group. There were times when someone would ask a question for which there was no cut and dry answer—and it was then that we got to watch the “power of silence” actually enable people to formulate their thoughts and become more vulnerable and listen to one another. What could have been some awkward conversations ended up becoming some of the richest moments of dialogue we’ve experienced as a group. Even after 5+ years together. Sydney: Walking in on the first day! It was a little weird introducing myself to the group knowing that we were about to go into a deeper conversation in T-22 minutes. The short, post-video silence that Joy encourages for reflection could be awkward, but I thought it was a good thing. 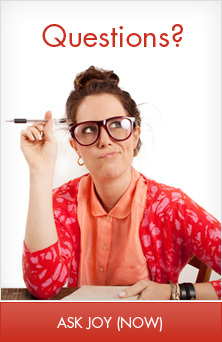 How did you overcome awkwardness? Crista: Giving space for silence. Some people just needed an extra moment or two to muster up the courage to respond. Respecting the needs of others in the group—and considering every person’s thoughts as worthy to be heard—provided purpose for the awkwardness. Sydney: More often than not, I cracked corny dad jokes and got a whimper of sympathy laughs. Buuuuuut in my more intelligent moments, I used the questions provided in the journal to spark conversation and just about every time someone would jump in. By the end, asking questions. There’s something about the humor and weirdness of The Illumination Project that exposes hidden truths and makes people comfortable, so it was a great segway into deeper conversation. What were the biggest lightbulb moments for yourself? Crista: I can be quick to base what I think about a person off their individual actions—the “snapshots” of their life. But I was reminded that those little episodes (which may truly be ugly and not outside the realm of healthy confrontation) are not always characteristic of a person as a whole. I have to be careful not to judge the movie of someone’s life simply by what I see during a 2-minute snippet–good or bad. Doesn’t exactly have the same proverbial ring as “don’t judge a book by its cover,” but I’m sure you get the point. Sydney: How to make steak bites. I can assume that people mean well even if they don’t sound loving in the moment. I think that changed how I date – I might not be looking at current perfection, but instead how they seek wisdom and growth. Do you remember the illumination moments of others in your group? I really didn’t get into the journal until week 3. I thought it was cute and I knew it had won awards, but I didn’t see the point. I had already committed to going to the dinners and to the group, why did I need to go through the book? But I was wrong. It is full of so many funny and good things—there will be something that speaks to you, a little gem that will reveal it truly was a good use of your time. I’m a widower, so I guess you could say that I’ve been wounded. But I want to put myself out there and find love again, and going through this series is helping me with that. Learning about the Crazy Cycle and the core reality of our most basic needs has been truly illuminating as I move forward in this new season of life. I’ve seen the Crazy Cycle in my past, I’ve seen it in my own relationships, and I saw it in my parents’ relationship. I could never put my finger on it, though, and it scared me…Learning about this makes me so hopeful—hopeful that perhaps I won’t find myself in a relationship that ends up drifting away. Sydney: We had a great discussion one night about recovering from pain or abuse. The video asked the question “Will you give into the darkness or will you give in the darkness?” and that sparked a really amazing conversation about the power of generosity and how it opens us up to hear God say “I can use you”… Even if we are in pain. …Again, how I am going to handle all of the ginger jokes. Did it work to have people of different ages and stages of life together? Crista: You bet! There was freedom to engage in conversation about topics most people are afraid to touch with a ten-foot-pole. And we did it with civility and mutual understanding…sometimes taking three hours to get through a two-hour session. Even those with “complicated” stories—I mean, all of us—felt validated and entrusted with a great responsibility to one another. Singles were free to ask questions. Married folks were free to give advice. Younger folks were encouraged to hope and desire more for their future lives and relationships, while older folks generously opened up about their wealth of experience—the good, the bad, and the ugly. Everyone knew their story was important. When we were asking questions, there were so many times that we would default to interrogating them! They were excited to share all of their wisdom as they had from seasons of singleness, dating, and their many years of marriage.